No matter how creative you are, there are days when it feels as though the right side of your brain has switched itself off. 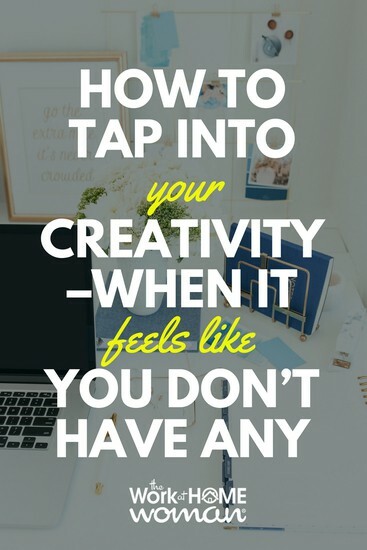 This can feel frustrating, but especially so when your work requires you to have an innovative, forward-thinking mind—how can you embody that ideal without creativity on your side? Fortunately, there are ways to turn it back on if your brain appears to have shut down that function. Technology has opened so many doors, but it can also isolate us from one another. This is true at work, too; an instant message-based conversation is much different than a face-to-face chat, after all. You’ll find that you can drum up more ideas and re-spark your creativity if you take things back to the pre-computer days. Grab a conference room and at least one colleague and then start the discussion. Brainstorming together will allow you to improve upon each others’ ideas so you walk away with something much better than what any of you could’ve drawn up on your own. Since having friends at work makes the whole job seem better, you’ll continue to feel the post-collaboration buzz after the meeting. Oh, and you’ll have plenty of new ideas, too. Let’s face it—most office environments aren’t conducive to your creativity. The lighting is harsh, and the walls are bland. You don’t have to settle for a workspace that’s devoid of inspiration, though. Add personal touches to make the place yours, and better yet, a source of motivation for your work. This applies to both in-home and traditional office spaces. Everyone’s inspiration is different, of course. You might have images of far-flung places you wish to visit, graphic designs that caught your eye, or something so well-written you aspire to work toward that level. No matter what it is that piqued your interest, use it to your advantage—use it as art. You know how you think, but how do others tackle their toughest dilemmas? Sometimes, asking for advice or motivation can do the trick and turn your creativity right back on. Every business will have different financial resources, but one great way to reinvigorate staff is to bring in an expert who boosts creativity and innovation for a living. Speaker Erik Wahl specializes in creativity-centric seminars and speeches. He can help staffers think outside of the box—beyond business as usual, as he describes it. In any environment, this type of thinking helps mold future leaders, since the business world requires its top players to be adaptable and forward-thinking. It’ll also make opportunities more alluring to potential new hires. And, if a speaker isn’t on hand to share their brand of motivation, try speaking with a coworker whose creative work you admire. Ask for the tricks they use on days when they feel tapped out, and try applying their methods to your work. The first thing you do in the morning can inhibit your creativity for the rest of the day. Checking your email ASAP might seem productive, but it's not waking up your mind. So, kick-start your brainstorming as soon as you wake up with a morning playlist, a favorite podcast, or log onto your favorite blog to read the latest post. 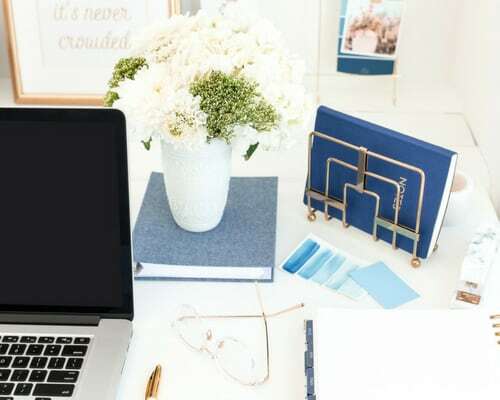 Whether you get inspired by beats or clever turns of phrase, starting your day this way will get your brain moving by the time you’re at the office. There's something about being outside that's so refreshing, and it's not just because you're breathing fresh air. Instead, you're experiencing the brain-battering effects of nature; there's research to prove this exists. A 2015 study of Danish creative professionals revealed multiple connections between nature and the brain. Not only did researchers find that the outdoors can boost your sense of creativity, but spending time outside can inspire you to explore mentally and bend your original way of thinking. On top of that, nature helps you recharge. This gives you the push you need to analyze and hone the ideas that you’ve already put to paper. In other words, next time you’re feeling blocked mentally, take a walk outside and feel the boost it gives you. Sometimes, it's not just your creativity that feels blocked. You might have trouble coming up with the next steps because the plan you're pursuing isn't quite right. If you feel that’s the case, grab a clean sheet of paper and a pen and get to brainstorming. Starting from scratch might seem daunting, but it’ll undoubtedly reawaken the right side of your brain. You can incorporate the ideas you’ve already come up with, but a new course of action might spur the process forward and spark the creativity you know you have. Not every idea requires complete uniqueness. In fact, the models we tend to follow are models for a reason: They work. There’s no use reinventing the wheel, and choosing a familiar course can help you to expand your ideas in other ways without stress about the process you’re following. This can turn into an even more creative practice. Come up with a list of your heroes, whether they’re in your industry or not. Have a look at this list every time you’re stumped and consider how the person you admire might tackle the same challenge. Would Picasso give up? Probably not. He’d likely come up with an incredible way to express what you’re trying to say, so put yourself in his shoes and do the same. Speed is everything in today’s world, whether you’re talking about food delivery services or how quickly you can log onto the Internet. But, sometimes, we get caught up in the go-go-go and find ourselves multitasking to get everything done ASAP. This tendency seems productive, but it’s a trap. You get more accomplished when you focus on just one thing at a time. But, creatively speaking, your mind will feel cluttered if you’re trying to complete multiple tasks at once. So, keep your eye on the current step in your creative process and don’t jumble it with any future must-dos. Get this part finished, and keep it the only thing on your mind—and watch how much more clearly you’re able to think it through. You’ve been visualizing an upcoming project in your head for months now, but you still can’t seem to finish it. Perhaps you need to see what you’ve got in real life to make the final decisions. Whether you’re drawing up a proposal or you’ve invented a new piece of technology, it’s time to get a physical prototype in your hands so you can start improving it. This will make it so much easier for you to come up with ways to improve and enhance your project because it will be sitting right in front of you. Plus, you can hand it off to clients or trusted colleagues who can provide their critiques, too. Their opinions will only spur your creative process forward, especially if their creative ideas are the last pieces of your puzzle. Even if your creativity doesn’t kick in today, don’t give up tomorrow. Instead, make out-of-the-box thinking part of your daily to-do list, and you’ll experience how it becomes more and more natural for you. Over time, you’ll have no problem triggering that side of your brain when you need it, and you’ll see just how much you can offer to a project, whether it’s a professional or personal one. All it takes is a daily effort to get to your creative peak. You don’t have to be traditionally creative to come up with fresh ideas or new angles with which to approach your work. And, even if you are a right-brained individual, you don’t have to stay on 24/7/365 to succeed. Instead, you need tools to help you unlock the brightest, best thoughts within your brain. Now you have ten to choose from—so all that’s left to do is start creating. I love your website and all your inspiration it keeps me motivated and to continue my journey into working for myself! !